I shuffled to the kitchen on Sunday night to make a hot bedtime drink. Before I could say “Rooibos tea”, the kettle caught fire ejecting angry sparks everywhere. I fled from the kitchen screaming “fire, fire” in my best damsel in distress act only to find hubby asleep on the couch mid-way through American Idol. The next day, I wasn’t in the mood for any incidents. I decided to cook a simple Upma, savoury semolina dish called Upma. Sheer simplicity, this is a typical South Indian breakfast that I ate in the morning, as light lunch and a tea time snack in India. All it needs is small number of ingredients, a bag of semolina and one non-stick frying pan. What could possibly go wrong? I started dry roasting the course semolina on the frying pan. It was going brown beautifully, with a gorgeous aroma filling my kitchen. And then I saw little black bits appear. And then, even more. I’d scraped the non stick coating off! Luckily for me this Upma takes about 20 minutes to make. I started again from scratch (excuse the pun) and the result was light, yummy and incident free. Just as it should be. Serve this with spicy mixed pickle or as an interesting alternative to cous cous with a tagine. Bring a robust frying pan to heat on a high flame with the semolina. Keep shifting and stirring the semolina around until it goes warm golden evenly. This takes a good 5-7 minutes. Tip the semolina out of the pan into a serving bowl. Put the pan back on the cooker with the oil and heat over a high flame. When hot, throw in the mustard seeds, curry leaves and whole red chillies. As they start sizzling, mix in the onion, ginger, turmeric and channa dal. Fry for about two minutes until the onions brown. Now stir the semolina back in with some salt, add hot water bit by bit until the semolina doubles up into a moist but grainy texture. Serve immediately. Ah, the life of damsels! Upma is the ONE food that makes me quake. Not in a good way. I am a survivor of upma overdose. sigh. Of course, another delicious looking recipe! Sounds like a nice dish! Hope all is well in your kitchen from here on out! chana dal seems like an interesting twist to the dish. 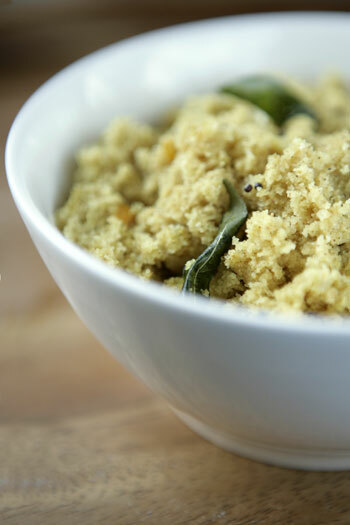 Have you added curry leaves with the oil and mustard seeds? that adds great aroma and taste. oops, I overlooked your curry leaves. sorry! having a blonde moment. Nice one…hope everything is well in the kitchen now! Why is it that our hubbies are always sleeping when we play damsel in distress?? I mass roast the entire bag and put it in the freezer (to keep out worms), so when i make this for breakfast it even takes lesser time…Have you tried making the same upma with fine broken wheat or quick oats? Results are as good, nice for a variation! Oh my…did you get a new kettle yet? Upma looks good…I can never get it that fluffy, mine looks like friggin’ idlis but I still LOVE it. Lovely. I add a few peas and finely diced carrots and also use 1 tsp of urad instead of channa dahl. You’ve reminded me to make this again. YUM! I’ve also had the ‘kettle exploding’ incident, and it scared me so much that I now have an old fashioned one that sits on top of the hob. Never tried Upma though and it’s sounds lovely, so I guess I’d better get myself into the kitchen!!!!! I once had help who scraped off the non-stick coating while doing the dishes because she thought I’d burnt it!!! I adore semolina – so comforting – but I have never had it savoury so this is one to try. 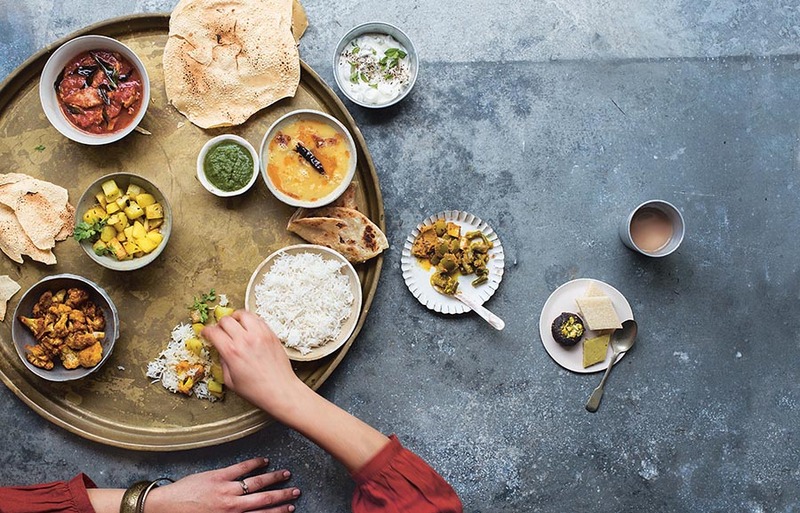 I finally acquired the curry leaves from a marvellous new emporium in Bristol – but channa dal? Um. I think I can substitute with split red lentils. And will dried curry leaves work? I was amazed when I fried them how they seemed to melt away – I thought they would stay crisp. OK…still experimenting…By the way, I love your description of your father. I want to voice my passion for your generosity in support of those people that really want help with the issue. Your personal dedication to passing the message across appeared to be extraordinarily beneficial and has truly permitted professionals like me to realize their targets. Your own warm and friendly guideline denotes a whole lot a person like me and extremely more to my fellow workers. Thank you; from all of us. I have most of the ingredients for this dish, but getting hold of fresh curry leaves is an issue where I am–the only places I’ve seen them are too far away to make the trip regularly. Do you know if dried curry leaves will work, if soaked before cooking?